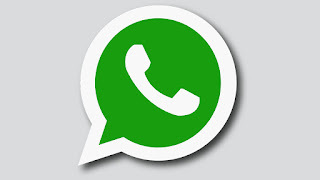 Whatsapp is a really fun app to utilize as it has a very easy to use interface and available for all kinds of Smartphones and operators. So many exciting features has been added to the app to make it even more enjoyable. I'll like to talk about the whatsapp stories. Most times our friends might have added a status update which we might find interesting but we wouldn't know how to go about downloading it as their is no download status feature on whatsapp status for now, except we summon the courage to ask them privatly to forward the update to us. Now in this fast rapid changing world of technology everything is possible. Firstly download an application called story saver for Whatsapp from the play store. Install the application in your phone and run it. Now, this App allows you to save photos and videos from Whatsapp status. Go to playstore and download es File Explorer, ES File Explorer or File Manager - Android Apps on Google Play. Now some android phones might already have file manager as a default folder. Just swipe to all files..
Now in the left section enable the show hidden files. In this folder you can see all your recent whatsapp status images or videos and can move them to desired location like internal storage or sd card. I hope you find this answer helpful. Now you can enjoy downloading or your desired whatsapp stories. Kindly share this post to pass the info to others that might need it.